Press Release - Early Childhood Center Open in Douglas! - Chiricahua Community Health Centers, Inc. : Chiricahua Community Health Centers, Inc.
Press Release – Early Childhood Center Open in Douglas! DOUGLAS, AZ (November 6, 2018) On October 15, the Early Childhood Center of Excellence (ECCE) opened in Douglas, AZ located at 1151 16th Street, in the newly renovated old Early Learning Center building. While the Pediatric Center of Excellence serves the primary care needs of children in the community, this facility will take pediatric care beyond primary care needs. The center will serve as a place for in-depth early childhood visits and for children with special physical, mental and medical needs. The doctors and nurses at Chiricahua believe they can help families better handle parenting challenges such as the struggle with a picky eater. Medical clinics are traditionally not designed to help families deal with difficult day-to-day issues but are very good at diagnosing ear infections and helping with fevers. Chiricahua hopes change that and to be a resource for parents throughout the daily realities that effect children’s health. The goal of the ECCE is to work closely with families from a very young age to enable a home environment where parents have the confidence to manage the daily difficulties. Chiricahua’s providers will partner with families to allow children to grow and develop healthy. The ECCE will have unique features meant to enhance the experience and enrich the time parents spend with their children in the center. Instead of the traditional one on one visit, parents will have the option to be grouped with parents who have children of similar ages for their well visit care throughout the early years of their child’s life. These well visit groups will feature an instruction period with the pediatrician prior to the individual well visit. Parents will be encouraged to keep their time at the center screen free. Instead of spending the time in the waiting room with their phones out, there are reading corners available throughout the center and parents will be offered a toy box with age specific toys for the child who is there for a visit. The importance of playing with children and filling a baby’s world with language by talking, reading, and singing is emphasized as a cornerstone of the baby’s brain development. Chiricahua will be partnering with home visitation agencies so that care and instruction can extend beyond the walls for the clinic. 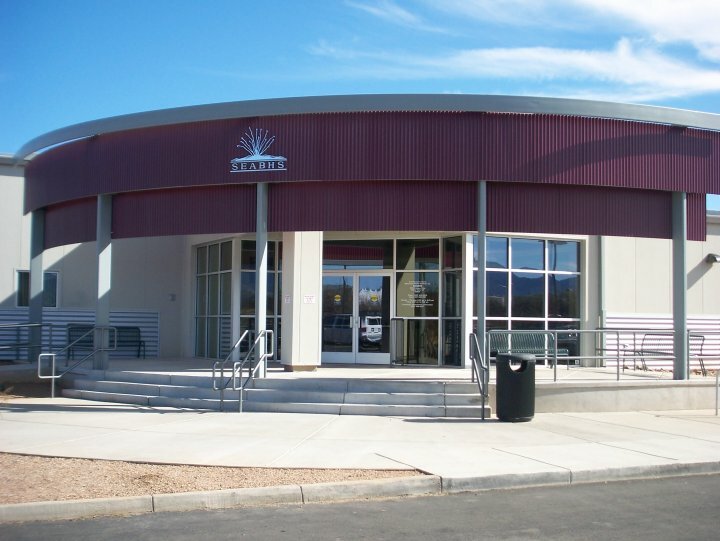 Chiricahua will also be offering dental care at the ECCE. It is important to have children’s teeth examined and cleaned at least once every 6 months. By bringing the dental care and medical care into the same facility, the ECCE is a one-stop-shop for the child’s health care needs. 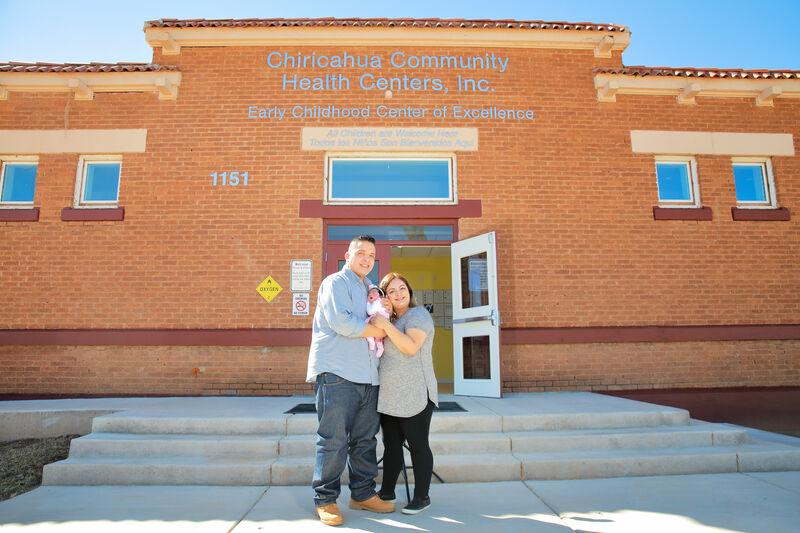 The Early Childhood Center of Excellence of Chiricahua Community Health Centers, Inc. was opened to patients beginning October 15, 2018 and is located at 1151 16th Street Douglas, AZ. The phone number is (520) 364 – 5437. Chiricahua accepts all medical insurance plans and is open to all patients, regardless of insurance status or ability to pay. 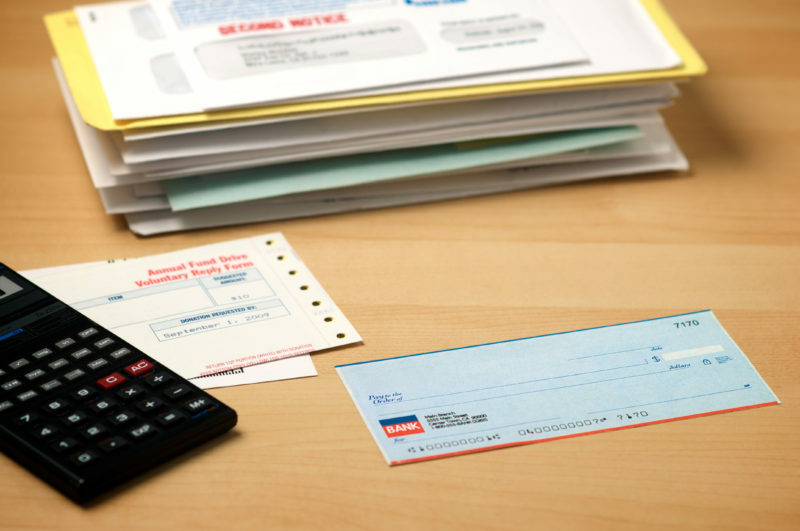 Chiricahua also has a sliding fee scale for those who qualify. Se habla español. 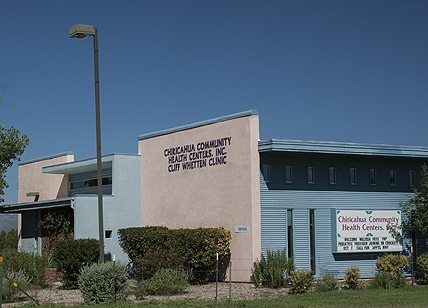 Chiricahua Community Health Centers, Inc. is a mission-driven Federally Qualified Health Center and is a tax exempt not-for-profit 501(c)(3) organization. It was founded as a grassroots community effort in 1996 as makeshift clinic in Elfrida’s small community center and has since grown to be the largest primary care organization in southeastern Arizona. 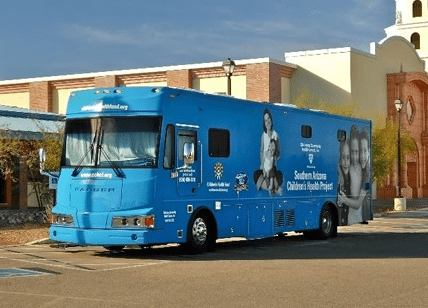 Chiricahua Community Health Centers currently has ten locations in Benson, Bisbee, Douglas, Elfrida and Sierra Vista and five mobile clinics serving Cochise County.